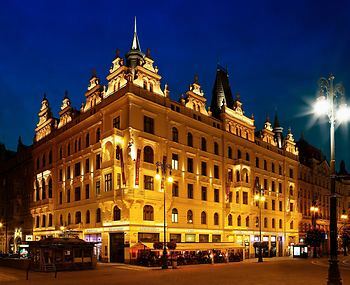 Hotel Kings Court, Prague, Czech Republic - Lowest Rate Guaranteed! With a stay at Hotel Kings Court in Prague (Prague 1), you'll be steps from Municipal House Hall and Powder Tower. This 5-star hotel is 0.4 mi (0.6 km) from Astronomical Clock and 0.4 mi (0.7 km) from Old Town Square. Make yourself at home in one of the 137 guestrooms. Logos, brands, and other trademarks featured within this site are the property of their respective trademark holders. These trademark holders are not directly affiliated with Hotelsone. Preferred is a registered trademark.© 2001 - 2019 Eurobookings. All rights reserved.